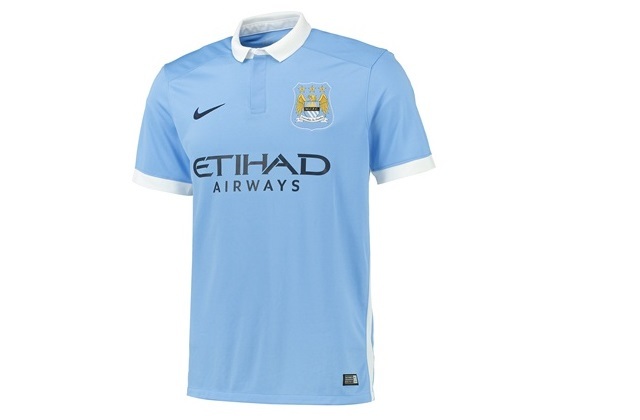 Manchester City New Home Shirt Revealed - Soccerjury - Defining the game through you! 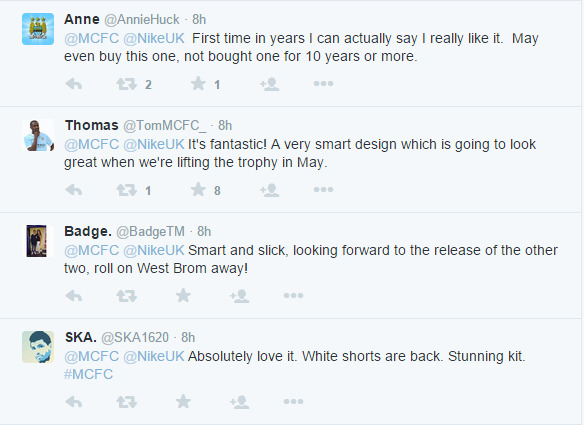 Manchester City revealed their new home shirt today, under the Nike slogan 'Built for Brilliance'. 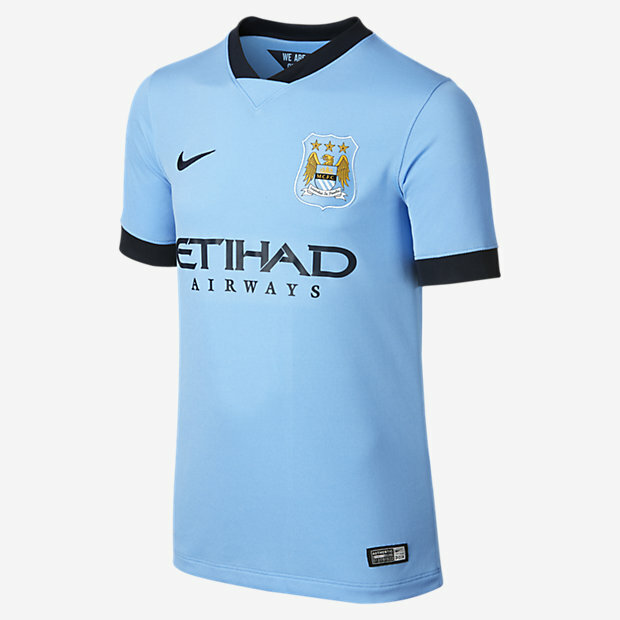 The club have reverted back to their traditional white trim, which is featured on the hemmed sides and sleeves. The sky blue shirt also features a new white polo collar, with a placket covering the button. 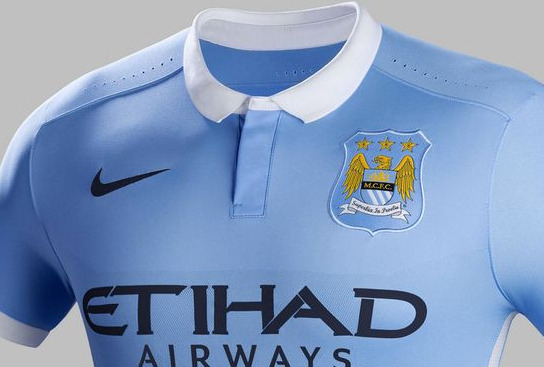 Compared to the 14/15 version, it is apparent the v-neck collar has been replaced, and the black trim removed. Earlier, Nike issued a press release stating that this design was inspired by the casual wear of Manchester. 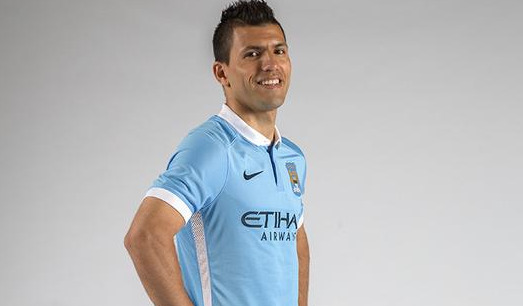 And inline with recent times, Etihad continues to be the main sponsor of this shirt following a deal worth a cool £80 million-a-year last season. Our opinion? This a humdinger of a design, easily bettering the 14/15 version. It edges out West Ham's new shirt too - also a contender for the best home shirt for the 15/16 season. 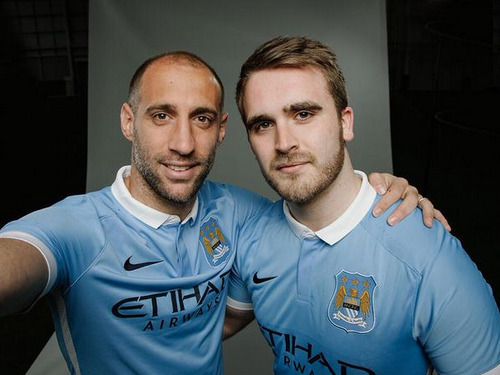 If success is judged on the merits of a new home shirt, surely Manchester City would be champions. For this is a great design, classy, and sure to become a fan's favourite - everything a home shirt should be. Wonder when the United and Chelsea shirts are coming out, and if they'll be as strong. Don't like the holes on the shoulders. Should have lost a point for that.